A dental implant is an artificial but natural looking tooth replacement for dentures, bridges, badly broken, decayed or missing teeth. Implants have been around over 1,000 years. The ancient Mayans had tooth shaped pieces of shell placed into the spots where they lost any teeth. Current root form implants have been used for the last 40 years with 95% success rate. In fact, some patients have had dental implants for more than 40 years. Hundreds of thousands of dental implants have been inserted with more than a 95% success rate. All other metal implants in the body (including hips and knees) are the result of the dental implant technology. Shown above, the natural look and feel of implants to restore smiles and prevent future problems. 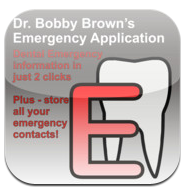 If you have badly broken, decayed, missing teeth or if you have dentures. – You will be able to eat virtually any food with ease, comfort, and confidence. – You will notice an improvement in your appearance, and possibly, in your speech. – Many patients find these improvements enhance their self-image and self-confidence. – Mimics the natural way your teeth are supposed to be: one tooth held in place by a root. In this case its a tooth held in by a post. – Replaces dentures, rotten or missing teeth with natural, colour matched identical teeth. They can last up to 20 – 25 years. In some cases 40 years depending on how well you take care of it. Other factors that may reduce their life is: grinding, smoking and not keeping your mouth healthy. The side effects of the implant are generally mild and short lasting. A little discomfort and that is all. Also the metal we use in the implant is titanium. This ultra strong metal promotes healthy bone growth around it with minimal side effects. The top part, or crown, will look like your natural tooth and there is no side effects from that. Do They Feel Like Your Own Teeth? Yes. They are designed to look and feel like your natural teeth – so smile! Do they Require Extra Care? No they do not. You should treat them like you treat your other teeth. Depending on your policy, insurance may cover some or all of the procedure. And we do take electronic insurance and your company health card. Without your consultation, it’s difficult to given an exact quote. And your insurance may cover the whole thing (yes, we take electronic insurance and company health cards) but in case there are any fees you have to pay, we can offer you low “fit your budget” monthly payment plans at 0% interest. Just think about how good you will feel! 1. Obtain your free consultation with us or request information kit. 2. We will examine you and take x-rays to determine the best course of action. 4. When you come back we will take off the healing caps, take x-rays, impressions then send it to the lab. 5. Then we will place the crown. 6. Then smile with your new, natural teeth! The whole process is about 6 months start to finish, with just a few appointments. There may be some minor discomfort and there is a good chance you will be able to work within a day of surgery. We will also provide you with medication and antibiotics to ease any discomfort you have. Also, if you fear coming to the dentist, you are not alone. Whatever your fear about coming to see us, let us know. There are a few things you can do to help yourself, along with the things we will do to make you feel comfortable. -Avoid taking any caffeine before your appointment. The last thing you need is to start getting jittery just as you’re sliding into the chair. -Put up your hand at any time, if you feel discomfort. -Bring an MP3 Player or iPod and headphones with your favorite music. -Use deep breathing exercises and visualization techniques to picture yourself relaxed. We will go over all your choices based on your free consultation. Bridges: A bridge is a dental device that is used to fill a space where a tooth has been removed. A bridge may be necessary where spaces exist in the mouth to prevent. – Existing healthy teeth need to be filed down to their core – a permanent change – to provide posts for the bridge. The outside of the teeth (enamel) on those teeth can never be repaired. – May accelerate your costs over time if they are not maintained impeccably. – Having a bridge places considerable stress on those “post” teeth. This could lead to early tooth loss. – In the short run may be cheaper than implants. – Colour matched and can be natural looking. – Dentures prevent your jaw from maintaining its natural state and bone loss may occur. In dentistry this is called resorption. – They can be loose and fall out. – Pain to take out and put in. – Loose-fitting dentures make it difficult to bite or chew properly. As a result, the range of food a person can comfortably eat becomes limited. In some cases, this limitation is sufficient to impact nutrition. – Loose-fitting dentures often rub the underlying gums, causing persistent soreness. – Speech may be impaired. – Appearance is negatively impacted. – A gag reflex could be induced. The post that mimics your tooth root, is made of Titanium. This ultra strong metal promotes healthy bone growth around it with minimal side effects. The top of the implant , or crown material may differ.